Back at SXSW I talked a while with a bunch of guys in nice black and green jerseys, later I discovered those guys were with the Overwatch Pro team @outlawsow (yooooo). jump forward a few weeks, I had the opportunity to create some work for a live event they’re hosting this weekend. It was a really frickin cool to work with the Outlaws, I’ve never really done any legit videogame-based work like this (hi @blizzard). 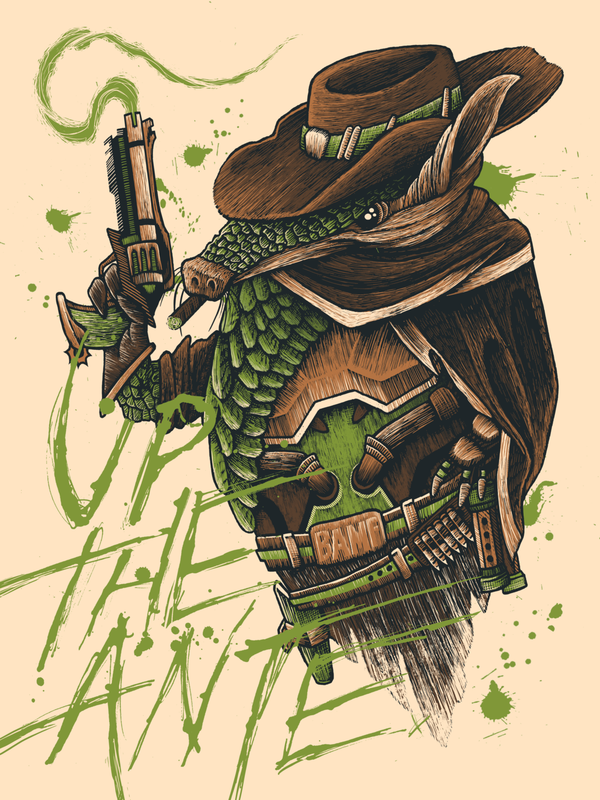 this is McCree as an armadillo.